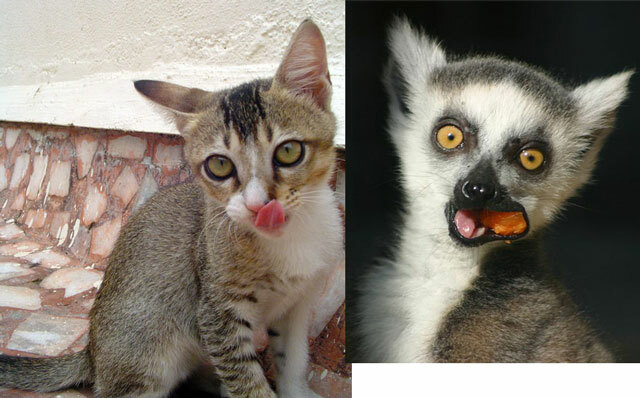 This is a story of how we got conned into getting a lemur instead of a cat.. Don't believe, read on, the horror! At first we got a new shrink wrapped sweet kitty. The freshest piece from the store too! 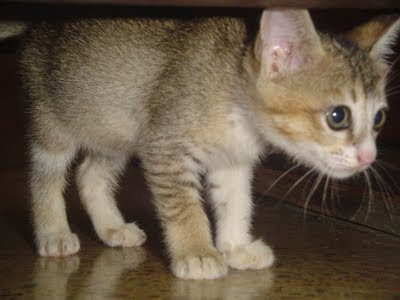 When we opened, definitely it was the sweetiest, most charming kitty we'd ever seen. 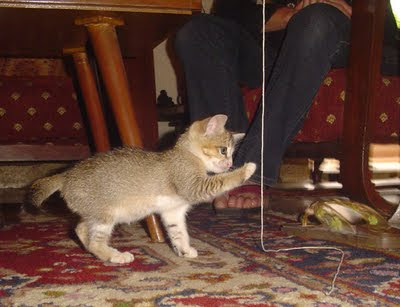 Just the perfect little Kitty we thought! But then when it started to grow up, something strange started to happen. Our sweet kitty turned more and more into a something else! But before you scroll down, this is a formal warning, Viewer discretion it advised. 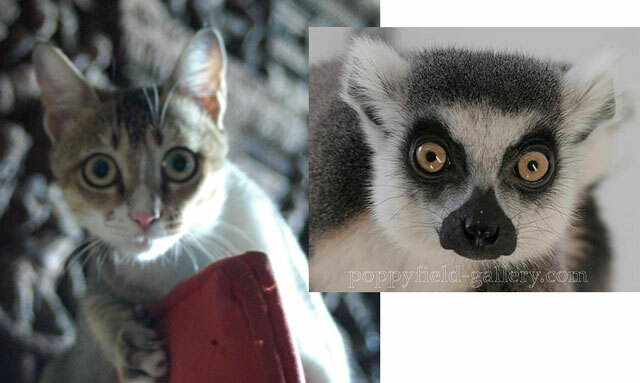 As you can see the obvious similarities and intelligently judge for yourself that, what we have is not a cat but a lemur! 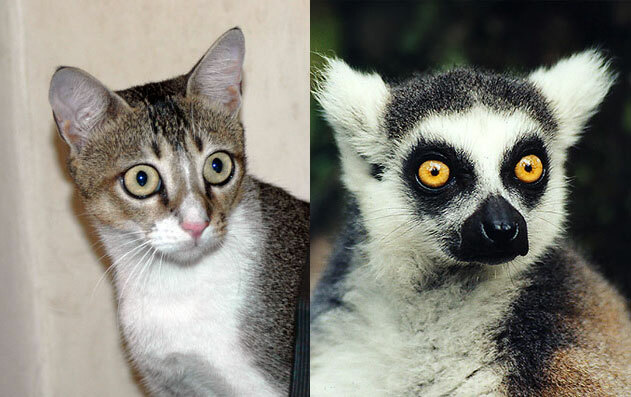 In fact it is much worse, it neither belongs to the cat species nor the lemur species, it is infact a cross between a cat and a lemur, A Catmur! The evidence is simply overwhelming! I dug further as to this unnatural occurrence. Why did such a thing happen? Why, oh why did God allow this? 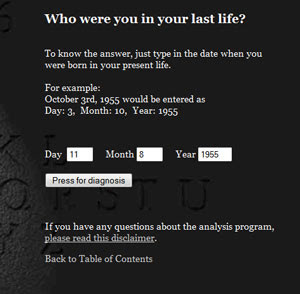 That is when I found the photo of her mother, which explained it all! 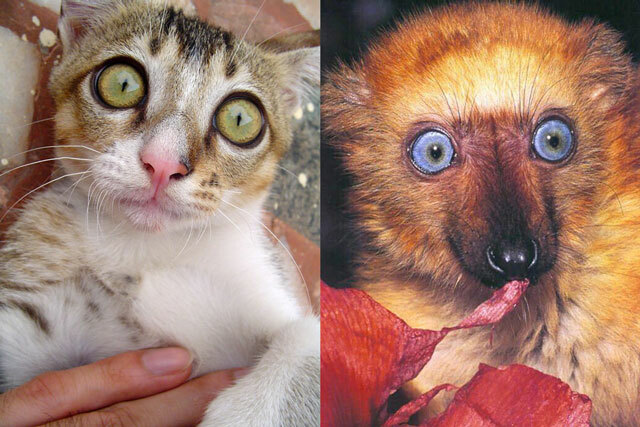 Please Note: - No Lemurs, cats or catmeurs were hurt when making this. Well except my sister's ego.